Why is it Important to Repair My Irrigation System? 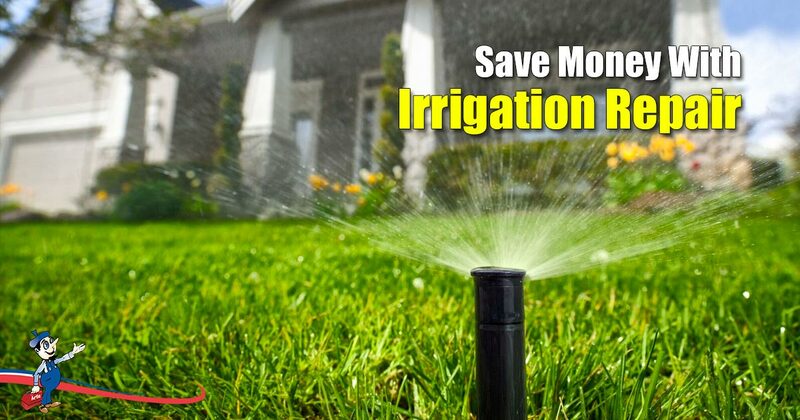 Your irrigation system plays an important role in maintaining the state of your yard, and your water bill for that matter. In order to keep your system functioning optimally, irrigation repair should betaken care of as soon as a fault is spotted. Besides this, it’s important to maintain the state of your system to avoid running into any water wastage,which will leave you with a hefty bill if it goes unnoticed for too long. Regular maintenance and taking care of repairs will keep your yard looking fresh and green, it will keep your costs down and you won’t be at risk of wasting a precious resource. The best way to prevent any major irrigation issues getting out of hand, is to ensure regular maintenance and responding to small problems when they appear. A small problem can become a bigger, more expensive problem if ignored. Nozzles, valves and pipes should be checked frequently as they are subject to general wear and tear but can also be impacted by humans, animals and pets as well as environmental effects. These elements are a key part of your irrigation system functioning properly so if you can prevent damage here, you are prepared for the worst. This should include adjusting the timer, monitoring the sprinkler sprays and cleaning the mainline filter. Broken or damaged sprinklers could result in flooding in your yard as the water has no outlet while the system responds to the timer and releases water. This could cause damage in your yard and to the rest of your irrigation system, meaning more unnecessary expenses. Sprinkler heads should be adjusted to the ground level so that they are working as efficiently as possible. By doing this, you will also be able to check any clogged sprinkler heads which will cause poor rotation. Sprinkler heads that are high above ground level can be a hazard and may end up with the heads being damaged themselves should someone trip over them or stand on them. Sprinkler heads move, especially if your yard sees a lot of activity. Sprinkler heads that have been shifted accidentally will not service your yard as intended. If you spot a leak, get it repaired. Turn your irrigation system off for the necessary period and sort it out. Because an irrigation system operates with other parts, leaks could have a negative effect on the operation of the rest of your system and where a small issue could have been repaired, you are left with a costlier exercise, including having to rework your overly saturated lawn. Regular checks mean you will spot a leaking valve sooner rather than later, saving your household both money and water. Some thing that is fixable now, might not be as easily fixed down the line. If the spray seems to be offering low pressure or poor spraying, this could be the pump motor that needs repair. Calling in a professional in this case is advised as your motor is the heart of your irrigation system and if it is compromised, you risk the integrity of the rest of your system. A well-maintained irrigation system results in a well-maintained yard, with minimal effort from you in the long run. This contributes to both the beauty and value of your property. These systems are mechanical and require quick, regular check-ups to ensure everything is in working order. Although this may sound tedious, it will save you lots of headaches down the line. So, save the frustration and call Art Plumbing, AC& Electric at 1-800-475-1504.